Android users can now boo over the hyped iOS as the world has welcomed a new beast , the Samsung Galaxy S3 . The S3 comes comes in 3 different variants according to its internal memory - 16GB , 32GB , 64GB but the memory issue can be neglected as it comes with a microSD slot upto 64GB . This phone stands as the Korean Company's flagship . 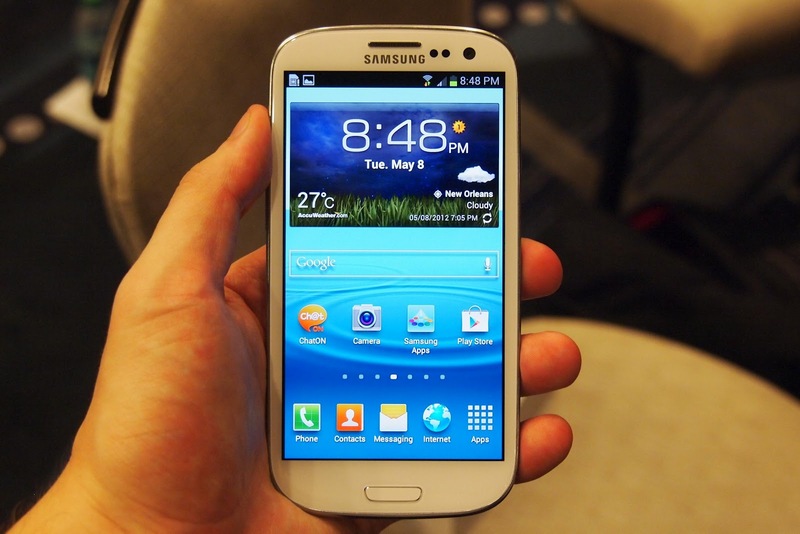 Just like the Samsung Galaxy Note , S3 is also somewhere between a smartphone and a tablet . With Galaxy S2's great success and sales , Samsung had to come up with a sequal that has better hardware , performence and oh , better looks with unique features (spoilers) . 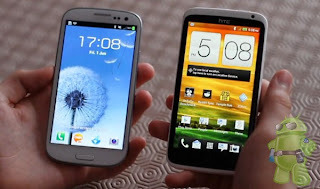 It's rivals can be HTC One X and the Sony Xperia S and (the over hyped ) iPhone 4s . The Samsung Galaxy S3 has a unique design , a kind of retro one , but more refreshing than edgy phones like iPhone and s2 . The whole body will come in plastic and that to rich plastic . 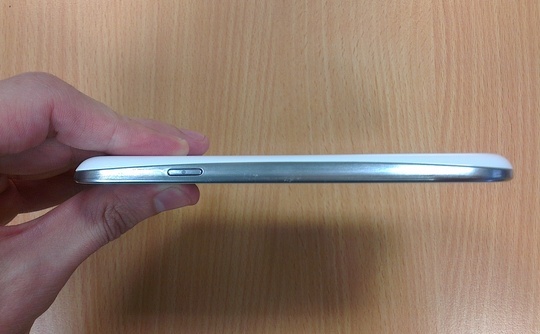 The phone is just so thin 8.6 mm !! and with its gentle curves around the corners of the phone will remind you of Galaxy Nexus . 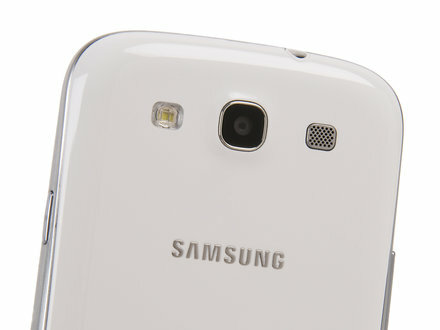 The phone has new shaped home button at the bottom front . 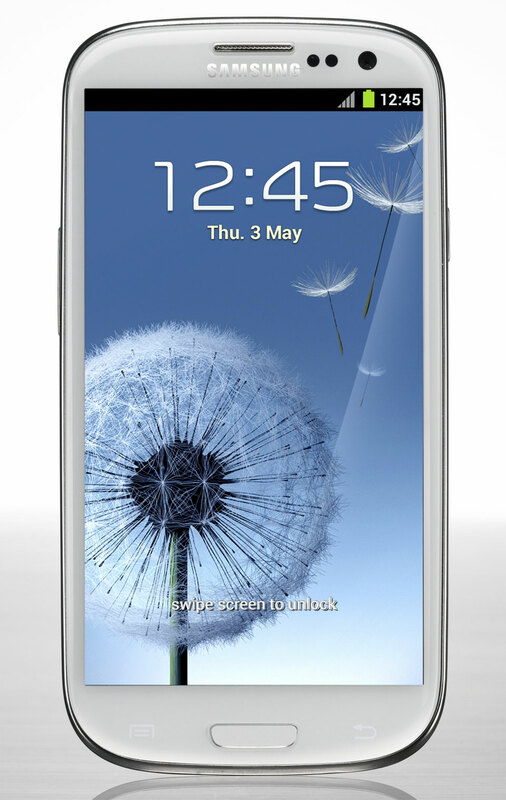 S3 has 4.8 inch Super AMOLED capacitive touch screen which is quite impressive . The resolution of the display is 1280 x 720 i.e. 720 p HD . 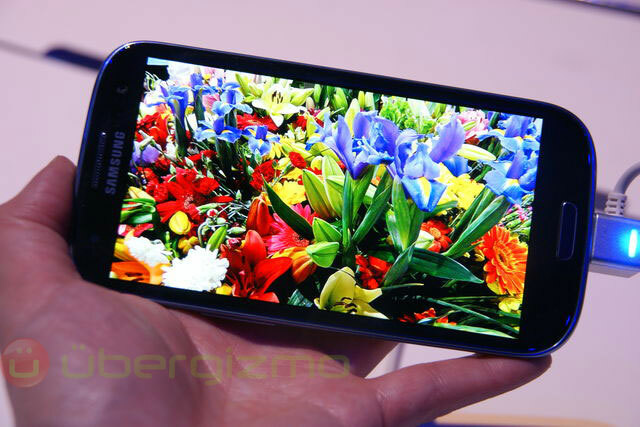 Watching movies and playing other videos on a 4.8 inch screen and that too super amoled will be a treat to the eyes . The screen resolution have lagged behind a bit by its competitors . S3 has 306 ppi , Sony Xpreia S has 342 ppi and HTC One X has 312 ppi , but beleive me you won't find any difference in any of the screens . The one place where its screen is not seen good is in the direct sunlight . This is very surprising that with such great aspects of its screen it is still behind as in xperia s and htc one x we outdoor visibility is much more than this one . The phone runs on ICS 4.0.3 pre-installed which is a good news. 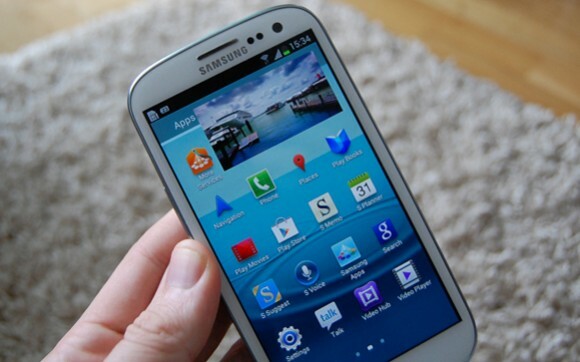 Android 4 is what Google has the best to give as an OS . Samsung has not only given ICS but packed the phone some whole new features which are currently on no other phone on the planet . These features make this phone stand out from others as unique and innovative . 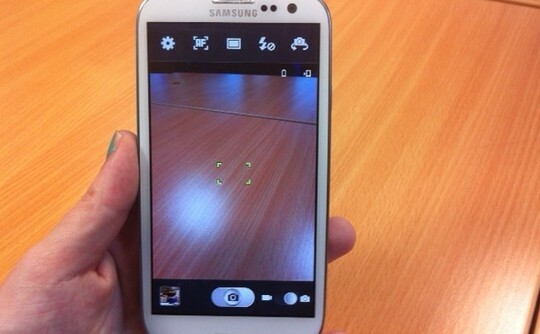 Smart Stay - The front facing camera of the phone periodically checks whether the eyes of the users are open or closed . If one closes his/her eyes , the phone automatically locks itself . Smart Call - When a user is texting someone and wants to call them , he/she just have to simply take their phone to their ear and S3 calls them . Social Tag - When you click a picture with your friends , it automatically searches the faces and puts them as their new profile photo in the contacts . S-Beam - A feature similar to NFC that we have seen , used for sending files and folders quickly b/w 2 S3s . Samsung has also added a feature similar to Apple's Airplay but between s# and a samsung TV . 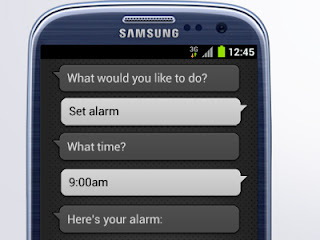 S3 will also tell you by vibrating or singing a merry tune if you haven't checked your phone and it has new sms's or missed calls . The multitasking functionality has been improved by a great stance , while watching a video you can pinch-zoom-out it and put it on the home screen so that you can text your friend back or pick up a call. 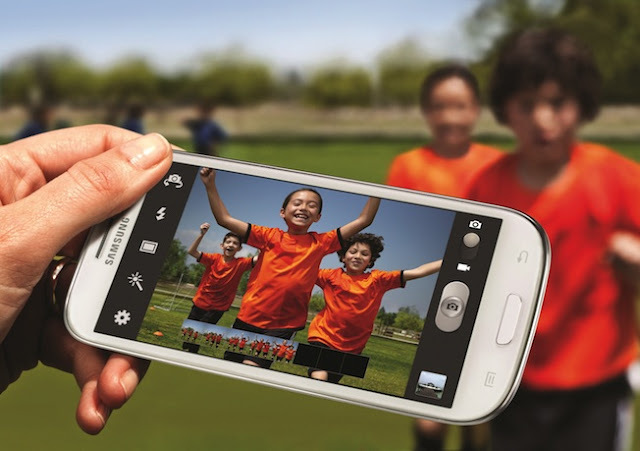 Samsung S3 has 1.4 GHz Quad-Core Processor and 1GB RAM which is required to function the phone's amazing features and the quad-core chipset gets the job done . This phone will give you fair amount of battery back-up of about 10-11 hours on full charge including multitasking and everything battery-exhaustive which is an amazing feat . S3 packs a great 8MP camera and 1.9 MP secondary camera . The disappointment is that the resolution of the clicks is same as that S2 but that was also up to the mark . When you have burst-fired some shots simultaneoulsy , the phone tells you that which shot is the best and shows a quick display of it . Another new feature (also in HTC One X) is the ability to take still images while recording a video - a nice add-on when your pet does something . The Camera's picture quality cannot be doubted to be bad as it has a very deep and shallow depth of field which clicks crystal clear images of distant and near objects .